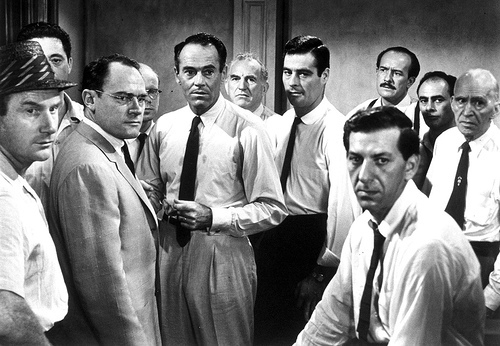 Building consensus in a group is not always easy, as illustrated in the classic movie 12 Angry Men, where initially 11 men on a jury are convinced that the defendant is guilty of murder, and only one man has no doubt of his innocence. How can the one man steer the others towards the same conclusion he has reached? There are practical team building lessons to be learned from analysis of this movie that come by observing the behavior of each of the jurors over the course of the film. You will learn such techniques as understanding motives and biases, considering attitudes about risk taking, dominant and submissive personalities and conflict resolution. If you have seen this film before, you will certainly be viewing it in a new light, and if you haven’t seen it before, you can enjoy the ongoing critique of the characters that this Survival 101 course will allow attendees to participate in!